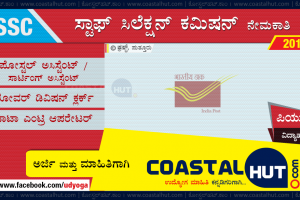 Government of Karnataka, Chikkaballapura District Revenue Department invites applications for recruitment of Village Accountants (VA Jobs/ Grama Karanika/ Grama Lekkadhikari) for filing up 22 Vacancies. Eligible candidates may apply for the VA Posts available in the Chikkaballapur Revenue Department. Knowledge of Kannada Language is a must. Can i apply sir,iam diploma cp course done. Please check the age limits above. Please contact the district’s help line. Selection list yavaga bidtira sir? Please inform us. Hai sir, when is this result?